Original music dance band. Get ready to move and celebrate with a unique blend of musical styles — from Afro-beat to Egyptian to the Cajun Bayou. Have fun while dancing and appreciating the rhythms of the world. Instruments include percussion, drums, bass, guitar, keys, flute and saxophone. Shows can include dancers and a multimedia presentation. Based on traditional rhythms from around the world. No passport is required to embark on an exotic musical journey around the world. This Nevada City, Ca. local ensemble pioneers a groundbreaking sound based on traditional rhythms from Africa, Brazil, Egypt and the Caribbean. The highly dance-able, spiritual amalgamation materializes from a hypnotic symbiosis of percussive rhythms, bass vibrations and melodies carried on the wings of guitar, keys, sax and flute. To quote Mike D. of The Beastie Boys, “I’ve been through many times in which I thought I would lose it. The only thing that saved me has always been music.” This has been Jacquelynn’s motto when she first began her musical endeavors. From the constructional forms of choir and musicals, to the free form edge of being in multiple jam bands, music has always been an integral part of her life that will continue to the end. She first considers herself a song writer followed by a singer and guitarist, then dabbling in various other instruments such as keyboard and drums. She is thrilled to be part of The World Beatnix where she can explore her love and appreciation for world music. Michael plays percussion and ethnic wind instruments. He has been playing and teaching for more than 30 years and has had the opportunity to travel to many countries. These include Egypt, Morocco, Brazil, Cuba, Mexico, Europe, and Israel studying and learning from the keepers of various traditions. He also maintains a contemporary relevance by organically mixing in electronic influences with dozens of traditional instruments. Mr. DiMartino has also performed with Jimmy Cliff, Michael Franti, Mickey Hart, Baba Olatunji, Yungchen Llhamo, Joules Graves, Umayapurim Shivaraman, Gordon Stone, Col Bruce Hampton, and at national festivals —Horde, Big Summer Classic, Gathering of the Vibes, and Starwood. 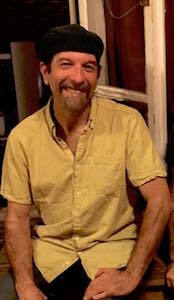 Mr. DiMartino is also featured on more than a dozen CDs, including the Art Rock Ensemble, Sound Oasis, The Beat Temple, Transglobal, World Beat Ensemble, Primitive Ink, Earthsongs, Journey Dance, and Tibetan Elemental Breaths, Rhythm the Musical, and Wavespell 13. Light Being Music is my artistic exploration of musical soundscapes to induce “Healing” moments. My intention is to deliver a sonic journey which will effectively bring one into a state of remembering a deep deep memory to allow progressions in life toward a better outcome in any given situation in need of healing, or attunement. My favorite way to share this gift is to bring my four sound tables to festivals, workshops, and/or other events. 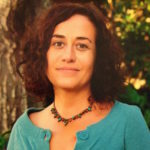 Also work­ing in the realms of Sound Heal­ing he cre­ates soundscapes with Bin­au­ral back­drops for Patt Lind-Kyle “Heal Your Mind, Rewire Your Brain”, Dr. Emmett Miller’s “Sleep CD” and others. He co-pro­duc­ed an innovative set of tracks based on the spec­trum of light trans­lated into sound. Kit loves rhythm. He began performing in a Sacramento Scottish bagpipe band in 1966, and soon migrated into orchestras, dance bands, and wind ensembles in the Bay Area, Central Coast, Southern California, and the Sierra Foothills. Symphony work includes performances with Sarah Vaughan, Benny Goodman, and Phyllis Diller. Discovering jazz about 1970 led him to Brazilian rhythms, then Carribbean and Afro-Cuban styles and instruments. When he moved to Nevada County in 1988, a thriving dance community introduced him to drumming from Mali, Guinea, Senegal, Ghana, and Congo—all of which has enriched his jazz, funk, and rock drumming. Kit loves rhythm. He began performing in a Sacramento Scottish bagpipe band in 1966, and soon migrated into orchestras, dance bands, and wind ensembles in the Bay Area, Central Coast, Southern California, and the Sierra Foothills. Symphony work includes performances with Sarah Vaughan, Benny Goodman, and Phyllis Diller. Discovering jazz about 1970 led him to Brazilian rhythms, then Carribbean and Afro-Cuban styles and instruments. When he moved to Nevada County in 1988, a thriving dance community introduced him to drumming from Mali, Guinea, Senegal, Ghana, and Congo—all of which has enriched his jazz, funk, and rock drumming. soon migrated into orchestras, dance bands, and wind ensembles in the Bay Area, Central Coast, Southern California, and the Sierra Foothills. Symphony work includes performances with Sarah Vaughan, Benny Goodman, and Phyllis Diller. Discovering jazz about 1970 led him to Brazilian rhythms, then Carribbean and Afro-Cuban styles and instruments. When he moved to Nevada County in 1988, a thriving dance community introduced him to drumming from Mali, Guinea, Senegal, Ghana, and Congo—all of which has enriched his jazz, funk, and rock drumming. Starting with a snare drum at age 12, Jeff began a lifelong love of sound and rhythm. By age 14 he was playing was professionally with Country and Blues bands and his home town of Urbana, Illinois. In High School Jeff participated in just about every possible music class then went on to be in the marching band and percussion ensemble at Arizona State University. Since then Jeff has studied Congolese, West African and Brazilian drumming along with Zimbabwe mbira and marimba, attending many workshops and camps to learn these various styles. 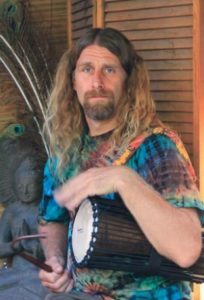 In addition to the World Beatnix, Jeff currently performs with Power of 12, Anthropophonia and is the lead drummer for a weekly Brazilian dance class in Nevada City, CA. An accomplished pianist and keyboardist with a passionate desire to explore new musical territories and collaborations. He began his musical quest at an early age, first studying French horn and then electric bass, but soon found his true musical voice playing keyboards and synthesizers. True to form, Jim wasn’t content to be an “average” musician. 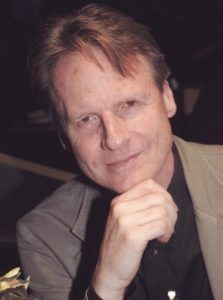 His pursuit of musical expression led him to study both classical theory and jazz performance at California State University, Sacramento. 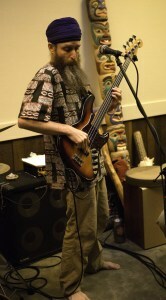 Jim has been active on the Northern California jazz and fusion music scene for many years and has performed with many accomplished jazz musicians in the area. He has performed widely, including the Sacramento Jazz Festival, Meadowview Jazz festival, California State Fair, Savannah’s Jazz Lounge, Studio 33, and numerous other venues and also performances in Kolkata, India. Jim thrives on being involved with a variety of different bands and musical styles at any given moment and is always seeking new opportunity and growth. He has held down the keyboard spot in bands covering the gamut of: jazz, funk/jazz, R&B, fusion, rock, latin rock, world, modern country, big band, and more. 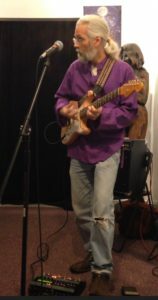 Jim travels with ease through many musical moods, from introspective solo jazz improvisations to driving fusion funk to danceable world grooves and effortlessly melds them together to create his own unique style. Jim always finds great joy and enthusiasm in playing music, sharing musical moments, teaching others and learning from others. He has a wealth of musical experience, a joy for music and travel, and a thirst for meeting people and creating cross-cultural friendships. He is constantly seeking to understand the music of other cultures and searches for ways to blend the cultures together musically. 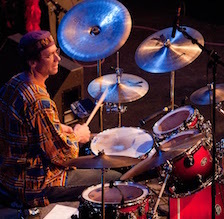 This musical journey has recently led him to collaborate with a variety of renowned world musicians, including living in Kolkata, India for 2-1/2 months while working on an Indian-Classical/Jazz/Rock fusion project with a group Indian classical musicians (where they performed for the US Consulate-General). On a recent trip to Tanzania, Jim may be one of the few people having had the great opportunity of teaching guitar chords to a Masai warrior. Jim’s constant quest for creativity and the joyful feeling of making music with like minded musicians keeps every day alive and fresh. With over a decade of performing experience, award winning saxophonist Carlos McCoy has had the opportunity to perform with a variety of greats including Bobby Escovedo, Rock and Roll hall of fame artists The Dells, Jerry Martini (Sly and the Family Stone), grammy winners Carlos Caro and Jamie Dubberly (Pacific Mambo Orchestra), Bobby Escovedo, Delbert Bump, Calito Madrano, Jeff Chambers, David Bass, as well as world class salsa performers Abel Figueroa, NG2, Herman Olivera, and Willy Torres. Additional performance experiences include performing the lead alto chair for Disney in 2006 (All American College Band), and performances at the Vienne, Umbria, and Montreux jazz festivals in Europe. Carlos is currently an in demand sideman and leads his own Latin Jazz octet and quintet which has performed at many prestigious events. 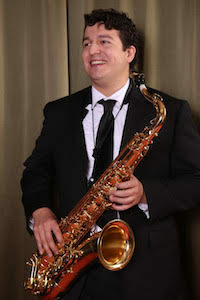 Carlos holds a performance certificate from the Berklee College of Music, and a Bachelors and Masters degree in music from Sacramento State university. 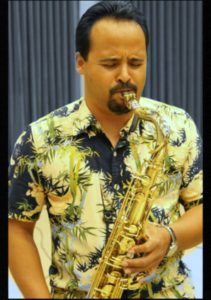 As an educator, Carlos maintains a private woodwind studio, directs beginning and intermediate middle school concert bands and leads the Sacramento State University Latin Jazz Ensemble. A Northern California native who began studying saxophone at the age of ten. He has studied jazz woodwinds with Jeff Jones and Mike McMullen and has collaborated with musicians throughout the region. As a recent graduate from the Sac State School of Music, his musical background is diverse and includes a wide variety of styles. He enjoys performing jazz, world, classical, and R&B music.